Business Class return fares from Dubai to Helsinki start at AED 8500 and are inclusive of all taxes and 40kg checked baggage. Economy Class return fares from Dubai to Helsinki start at AED 1500 including 7kg of hand baggage. 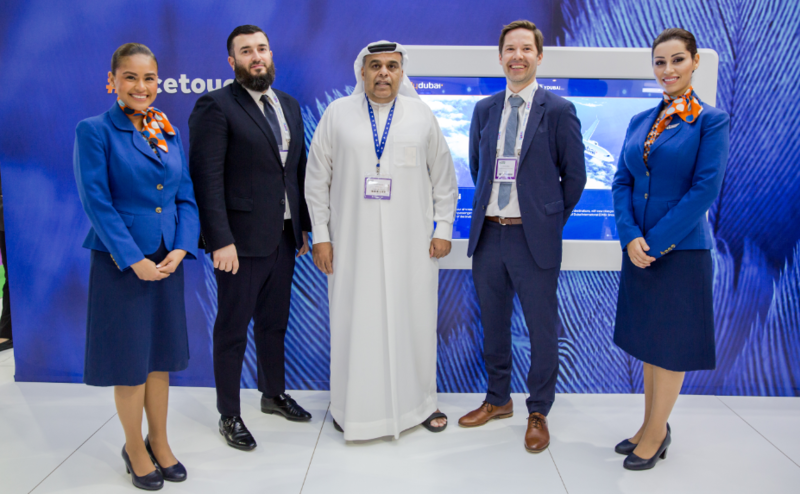 This entry was posted in Airlines, Airports, Flights, Travel, Travel Services, Travelers and tagged Arabian Travel Market, Finland, flydubai, Hamad Obaidalla, Helsinki, Jeyhun Efendi, Mr Teemu Ahola, Thierry Aucoc. Bookmark the permalink.